Phong Nha has remained largely off the beaten track for international tourists despite being opened to tourists in 1999. The Phong Nha Cave was made a World Heritage Site by UNESCO in 2003and notably Hang Son Doong has been heralded as the world’s largest cave. The famous cave system underground is matched in beauty above ground by the verdant jungle scenery; with a protected status, the region’s wildlife is thriving -tigers, black bears and elephants have all been spotted and it claims the highest diversity of primates in all of South East Asia. 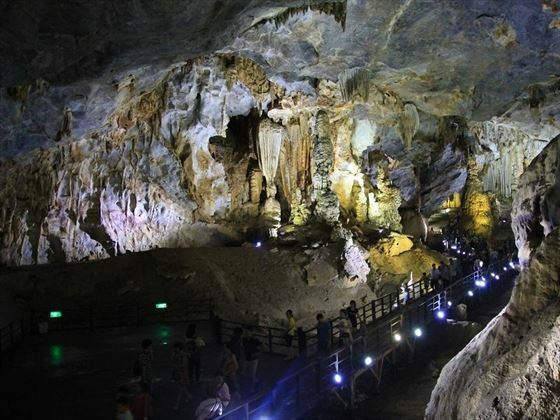 In addition to al l the natural attractions, the area has a historical interest too with the caves, particularly Phong Nha Cave, playing an important role as shelters and hospitals during the war years. We offer this two day tour with an overnight stay to get the best experience from the park, staying overnight at the Phong Nha Lake House Resort. The tour departs from Hue but you can also take this tour from the Danang area for a small supplement if Hue is not in your itinerary. Alternatively your travel consultant can organise for a pick up from Hue and drop off in Danang to allow you to continue travelling south, although please discuss your luggage allowance if this option is your preference (LT). Top Tip: Avoid weekends if you can which see a lot of Vietnamese visitors and will be busier. 8am: After an early breakfast, your English speaking tour guide and driver will pick you up from the hotel in Hue for the approx 3 hour drive to the Phong Nha province. En-route you will have a chance to visit the DMZ (Demilitarized Zone), Ben Hai River and Hien Luong Bridge, important sights that marked violent battles which took place in Quang Tri Province during the Vietnam War. After that, you will enjoy lunch at a local restaurant in Dong Hoi. 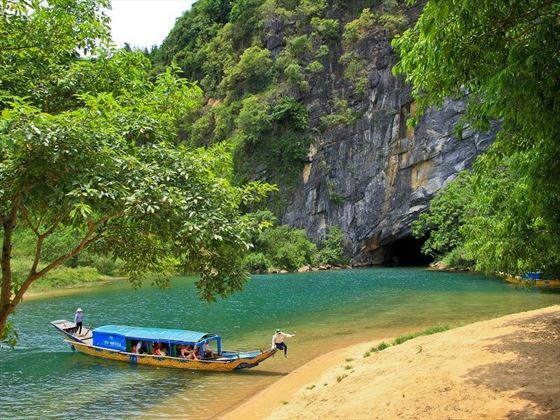 In the afternoon, you will take a boat on the Son River to visit Phong Nha ("Wet Cave") and Tien Son ("Dry Cave"). After that, you will drive to the Phong Nha Lake House Resort for dinner and overnight stay. After breakfast, take a gentle kayaking trip on the Chay River with the chance to admire the birds, butterflies and dragonflies as you paddle down to a delightful swimming area. A car transfer will meet you here for the short drive to Thien Duong ("Paradise Cave"). Paradise Cave was discovered by scientists of the British Caving Research Association in 2005 and has a length of 31km, making it the longest dry cave in Asia. You will then go back to Quang Binh and have lunch en route, before transferring back to Hue, arriving late afternoon. Boat cruises: Phong Nha and kayaking in Chay Lap. 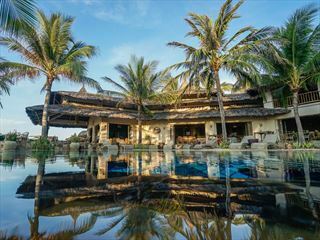 In the heart of Mui Ne, the Mia Resort is a gorgeous boutique, high end resort right on the beachfront. Wake up to the sounds of the ocean and serene garden surroundings. Indulge in the authentic Vietnamese cuisine in a beachfront setting and unwind at the perfectly tranquil spa while pampering yourself with one of their rejuvenating treatments. Sitting on a secluded and picturesque bay and reached by a short boat trip from Nha Trang this is a complete haven of peace and luxury. 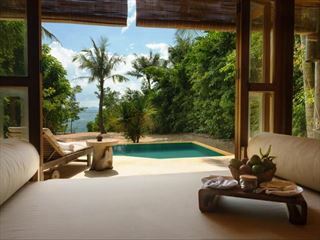 Ideal for honeymooners and anyone who is looking to get away from it all. 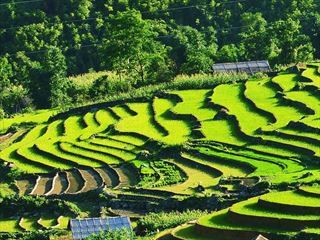 Travel north to the mountain town of Sapa; trek through stunning rice terraces and visit with friendly hill tribe villagers to witness their unchanged way of life and their traditional and colourful attire.